Posted on 2014-06-02, by nobihai. 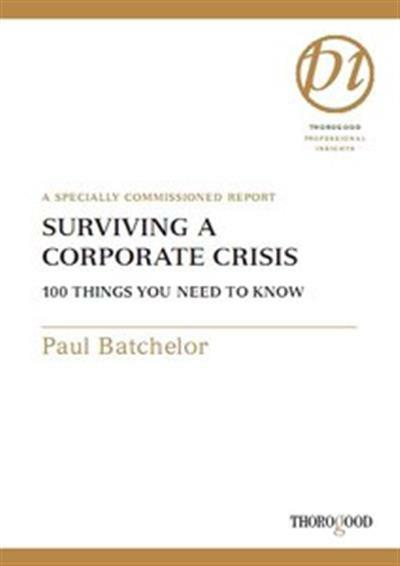 Paul Batchelor - Surviving a Corporate Crisis: 100 Things You Need to Know Thorogood | 2005 | ISBN: 1854182080 | Pages: 150 | PDF | 1 MB This timely report covers remedial action after the event but it also offers expert advice on preparation and planning so that, should a crisis occur, damage of every kind is limited as far as possible. It guides you through the various stages of setting up a viable crisis response capability and provides answers to key questions that every CEO should want to ask--and that every Corporate Crisis Manager should be able to answer.